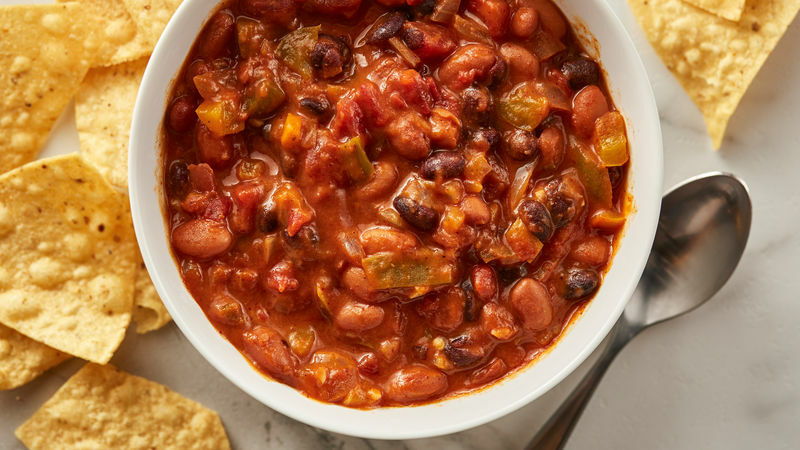 In a 4-6 quart slow cooker, add black beans, pinto beans, chili beans and chili sauce, diced tomatoes with green chilies, chopped green bell pepper, chopped yellow bell pepper, chopped onion, tomato paste, garlic and chili powder. Stir to combine. When chili is done, stir in shredded cheese until melted. Serve immediately with tortilla chips. Doooodz. You know what I love most (read: only) about game day? The food. But seriously – as someone who couldn’t tell you the difference between my thumb and a pass interference, the biggest reason I look forward to game day in our house is for the snackage. And we go all out, too, from pizza rolls to chips and dip to those little hot dogs wrapped in crescent rolls (they’re so CUTE!). But my favorite dish? The one I pine for? The one I could write love letters to if I knew its name and address? 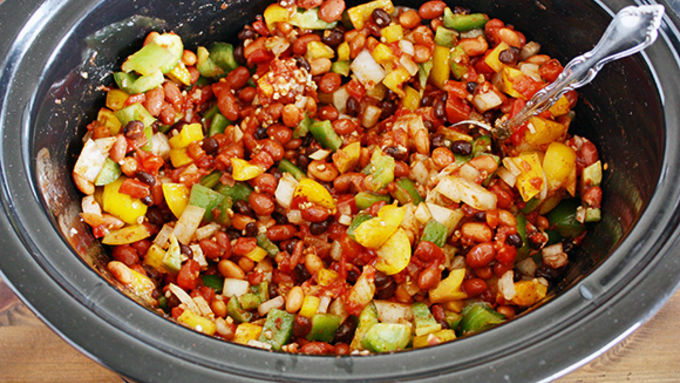 It’s this Slow Cooker Vegetarian Chili Con Queso. People, this stuff is gooooo-ooood. 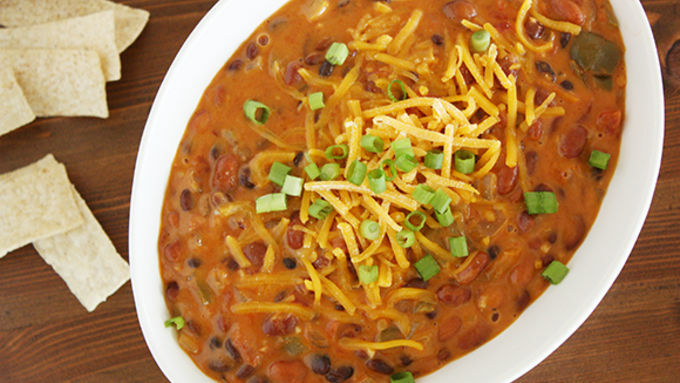 It’s cheesy and bean-y and tasty and filling and all sorts of other magical things. It’s full of veggies, too, so you can say it’s good for you. 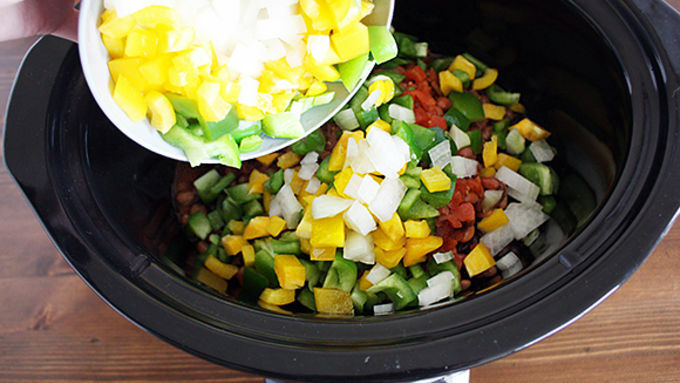 Sometimes I like to make it in the slow cooker just so my house can smell like a candle of chili con queso. Only I get to EAT IT, TOO. Let’s get snacking! Time to turn on the game and get to dipping. I like to dip tortilla chips in it. And sometimes my face.